GOING back to last Friday’s T20 Blast loss at Nottinghamshire, I thought we performed okay in patches. I thought in the first ten or 12 overs with the bat we put ourselves in a position to put a big score on and we thought 180 plus was a par score on that pitch. 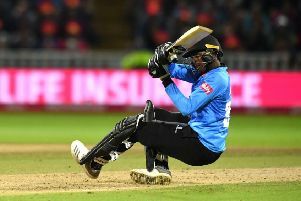 We just lost that momentum in the last six or eight overs – as soon as Travis Head and Kane Williamson got out – we didn’t quite post the total that we thought we could. But I thought after we got them five or six down we really got ourselves back in the game, Samit Patel and Chris Read played really, really, well to give Notts a sniff and they brought it home unfortunately. But Alex Lees’ comments in the press about the umpire, he is probably a little bit naive. As captain, we have all been there where an umpire’s decision has probably cost us a game – I’ve been there myself and been quite emotional straight after the game. But I think in the scheme of things it wasn’t just the umpire’s decision that cost us the game, it was probably our batting at the back end of the game and also some poor bowling so he’ll reflect on that. I’ve gone head to head with the umpires after a game and it’s not the way things are done in cricket. We don’t want to get to a football environment where we question every decision that is made and probably getting to a place where we are not honest with our performance as well. We don’t want to create an environment like that in cricket. Alex is young, he’s probably emotional after losing the game of cricket but in the scheme of things it’s probably something that he’ll learn from. The umpire probably didn’t make the right decision at the time but there’s nothing you can do about out and in the scheme of things did it cost us the game? Maybe. But you can’t be quite sure about that. 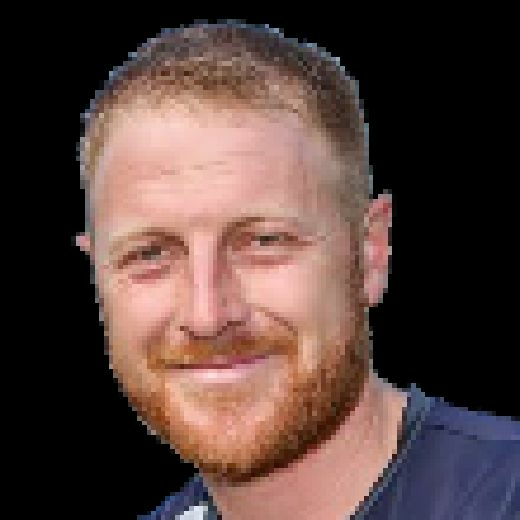 I thought the lads were then outstanding in beating Durham on Wednesday and I thought Adam Lyth really set the tone for the innings. We put a really good start on the board and the lads that came down the order, particularly Jack Leaning, came in and played a gem of an innings there at the end. I thought he was outstanding. The lads with the ball took the pace off it most of the time – it was sterling work – and that was an emphatic win to put us in a place in the group to really get some momentum. I believe it was Yorkshire’s highest ever score in the competition’s history and whenever you get over 200 on the board you always fancy yourselves to win the game. I think Durham were never really at the races with them. We are back to the 50-over stuff tomorrow and when you begin at the start of the year you want to win three competitions. We’ve still got a sniff in the T20 and we’ve started okay in the 50-over stuff so it’s about backing that up and I don’t think the lads need much incentive to keep performing well. Form is form and it doesn’t matter what format you’re in, if the lads can continue that form. We were playing a good side in the T20 last night in Northants who were top of the group and who are playing some good cricket. Our last T20 game is against them so that’s going to be a real test. And then we are back to the 50-over stuff. We have had a bit of a break which, when you are playing well, you don’t want. That’s come at a time when we probably didn’t want that break but if we can get a win on the board tomorrow at Leicestershire that can kick start that momentum again in the 50-over competition. As for what happens with me playing in the one-day stuff, I’m not sure yet. As far as the 50-over game goes and a little bit of the T20 stuff I don’t think the top order, apart from Adam Lyth, has set the world alight. I think obviously Adam Lyth and Travis Head are a given but I feel like I am getting into some good form now. I struck 50 in the Championship the other week – I have got a fantastic record behind me and I really, really want to be playing some white-ball cricket. I want to be putting some pressure on and I’m bitterly disappointed not to be involved. I’d love to be involved tomorrow. Whether that will happen or not, that’s up to the coach and the captain.